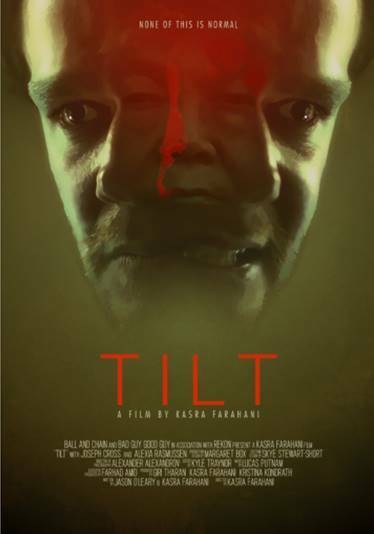 Check out the teaser for Tilt. The Canadian premiere of Tilt will be at Fantasia Film Festival 2017. The film stars Joseph Cross, Alexia Rasmussen, Kelvin Yu, Jessy Hodges, CS Lee. Kasra Farahani directs. All seems normal with Joseph and Joanne. Joanne is pregnant with their first child. Life in their little urban house is cozy and familiar. But something is off about Joseph. He doesn’t seem excited about the baby. Work on his documentary is becoming increasingly untethered. As Joseph struggles to maintain the routines of his domestic life, his mask begins to slip. Late at night, while Joanne thinks he is working, Joseph prowls the streets of Los Angeles, deliberately courting danger. Joanne is growing worried about Joseph’s odd behavior. But not as worried as she should be. Tilt explores how quickly the most familiar person in your life can become the most terrifying. How quickly we can become terrifying to ourselves.